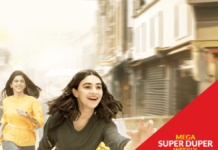 Where all brands are introducing winter sale offers on clothes, shoes, and bags then how can the telecom companies be unaware of this ongoing trend. Telenor is offering up to 50% off on different packages and devices. For that, you don’t need any voucher or coupons. You can avail these offers directly from Telenor online store. They are giving 33% off on MiFi device which works continuously 6 hours. They cut down the price from 3000Rs to 2000Rs. You can get 50% off if you buy this device within a week; they cut down from 2000Rs to 1000Rs only. You can get this 3G wingle in 1000Rs instead of 1200Rs. Not only the wifi devices but you can also get the Telenor mobile in 14% off from actual price 13,900Rs to 11,900Rs. now you can get iPhone 7 in this discount offer in just rupees 76,999 instead of 98,399.